Coming Soon, a new novel from Mark O. Chapman. 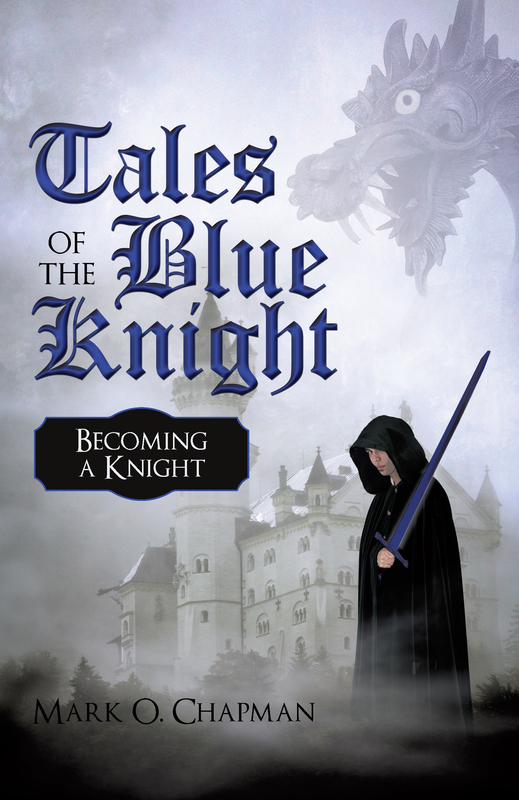 Tales of the Blue Knight: Becoming a Knight is the first of a trilogy of the Blue Knight. More information to follow so watch for updates soon. Hopefully this book will be available to purchase around early summer 2010. When Nick wakes up the morning after a party and finds himself in a castle in a strange land, he thinks his foggy thoughts are just another symptom of a hangover. But when he learns that he fought a powerful Ogre the night before and won the beautiful Savina as his slave, Nick realizes that his hangover is the least of his worries. Nick soon discovers that he has been endowed with the magical powers of the Blue Knight and must decide if he is going to use those powers to fight the chieftain of the Ogres – who will stop at nothing to get Savina back – and his army. As an age-old war between Dwarves, Ogres, Vazgards, and Tovans swarms around him, Nick learns there is much more at stake than saving a slave from her evil master and he and his friends are right in the middle of it all. My momentum died on the spot as I faced the two nine-foot Ogres. They both had yellowish-brown skin and deep violet eyes. The one holding Savina had long scraggly black hair and wore clothing that looked like leather and some kind of animal fur. He held a curved dagger to Savina's neck. The second one had dirty brown hair flapping around in clumps; across his forehead was a large white scar. At my entrance, he brandished a double-sided battle-axe. The one holding Savina smiled, showing sharp brown teeth. "Your master is here now," he said in a deep guttural voice. "Time to play." I looked at Savina, who was looking at me. The left shoulder of her dress was torn and fallen, showing most of her breast. Blood running down her arm from a cut in her shoulder made her skin look even more fragile. My hands were trembling and I could feel wave after wave of anger wash over me. From behind me I heard a faint voice say, "You can take these two; piece of cake."